Just like we rely on technology to pay our bills, book a holiday or communicate with our loved ones, dentistry has also opened a door to the world of digital devices and technologies. We have moved forward with every piece of our equipment helping us perform more accurate diagnostics, safer clinical procedures and reduce trauma and post-operatory healing times. This is what we call ‘digital dentistry’. The team at City Smiles is constantly evolving to help patients receive the best treatment. One of the ways we are doing this is with the latest digital impression system technology. Traditionally, taking impressions for restorative dental work was a laborious task. You would have had to bite down on a sticky, putty-like impression material, this would then be hardened and eventually sent off to the lab where your restoration would have been fabricated. Now, with the TRIOS® Digital Impression System, it’s a simple process. We take the digital impressions of your upper and lower jaw and then email those straight to the laboratory. How does the TRIOS® Digital Impression System work? The TRIOS® Digital Impression System is an intra-oral 3D scanner that is faster, easier, and more accurate than other models on the market. This impression system is able to be more accurate because it is a spray-free system. 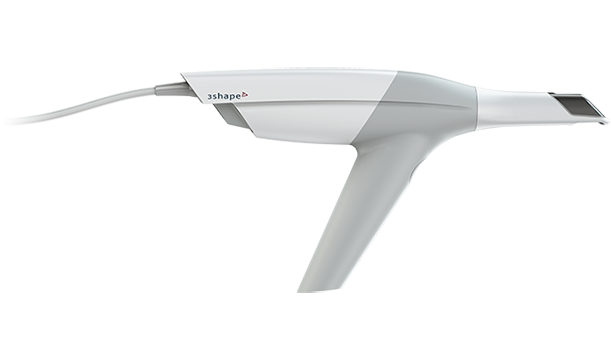 What spray-free also means for you is the scanning process is more comfortable than other types of intra-oral scanners, as well as faster. Another aspect of the TRIOS® Digital Impression System that makes it faster is its ability to capture more than 3000 2D images per second; making it 100 times faster than typical video cameras. This system is beneficial to both dentists and patients. Faster more accurate impressions sent directly to the lab cut down waiting time and work towards producing a better quality of restoration. Most restorations do not need any adjustment whatsoever ensuring perfect fit. Here at City Smiles in Melbourne’s CBD, our team work closely with our patients to provide the best in dental care. We are proud to offer superior dental treatment at an affordable price with some of the best dental technology currently available. If you would like to know more about how City Smiles can help you, or to book an appointment at our Melbourne CBD dental practice, please contact us today.